Diamond Wedding Ring 6mm wide TBCWG05. 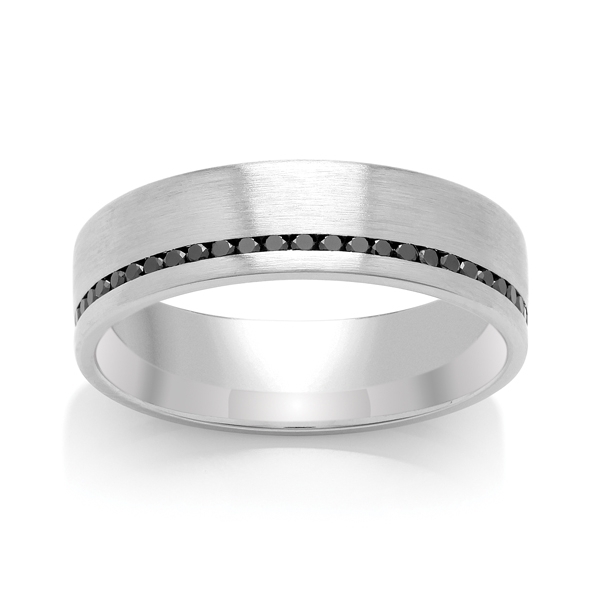 This is a Flat Court Diamond Wedding Ring with a offset channel of black diamonds. The black diamond weight is 0.54ct and the stone size is 1.2mm with a 100% diamond spread.